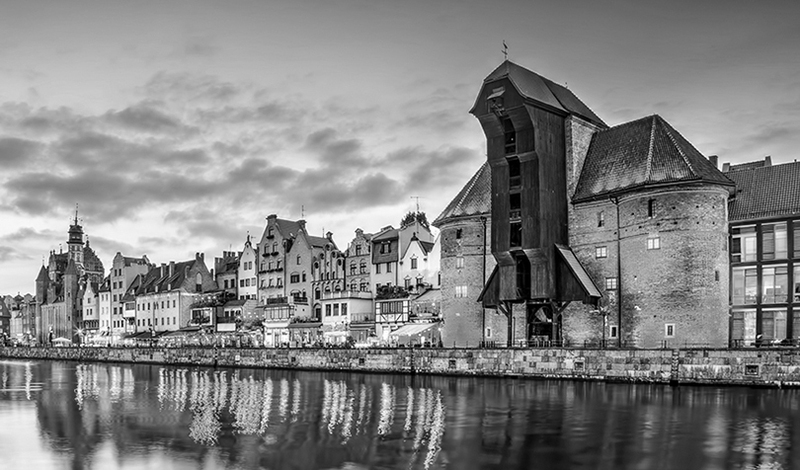 Gdansk old town and famous crane, Polish Zuraw. View from Motlawa river, Poland at romantic sunset, night. The city also known as Danzig and the city of amber.